Both adventurer and idealist, Simon de Montfort pursued a course easier to chart than to judge. A younger son, born about 1208 into one of the great noble families in northern France, he inherited a claim to half the earldom of Leicester through the marriage of his grandfather to an English heiress. He came to England in 1231, secured his ancestral lands, and thereafter quickly became the confidant of his near contemporary, the young Henry III, winning in 1238 the greatest prize in Henry’s gift: the king’s sister Eleanor. Her disposal to a foreigner, by a marriage concluded virtually in secret, nearly produced a baronial revolt. The unpopularity of the match, together with other disputes over money, caused the first open rift between Montfort and Henry. Although their friendship waxed and waned in the 20 years before 1258, and was punctuated by violent quarrels, Montfort remained more often than not a royalist, whose services the king needed. He helped to save the royal army at Saintes in Gascony in 1242, governed Gascony as Henry’s lieutenant, and in the 1250s took a leading part in negotiating the Anglo-French treaty of Paris. Like his spiritual mentor Robert Grosseteste, Montfort possessed considerable independence of mind and great ability. These and other qualities – his alien origins and the cosmopolitan range of his experience and family connections – set him apart from the other magnates. At a time when the English baronage was becoming increasingly insular in attitudes and interests, Montfort was as often in France as in England and remained part of a great cousinhood, spread across both France and the Holy Land. His abilities, reputation and connections explain both the attempt made to secure his appointment as governor of the kingdom of Jerusalem in 1241 and the French offer to him of the stewardship of France in 1252, when Louis IX was on crusade. He had a particular mastery of military affairs. Lauded as ‘the most sagacious of warriors’ by a chronicler, he refortified his castle at Kenilworth so effectively that in 1266 it withstood a six-month siege, the longest in medieval English history. Dévot as well as soldier, he filled both roles on crusade in 1240 – 42, while in England he moved in the circle of friars and reforming bishops whose work transformed the contemporary church. Zealous, intelligent, active, uncompromising and convinced of his own rectitude, he was a man uneasily qualified either for government or for the leadership of a faction. It was one of the paradoxes of Montfort’s career that in its last and best known phase, from 1258 to 1265, the alien who had risen through royal favour came to lead a movement largely directed against the king’s alien favourites. Although Henry’s incompetence and fickleness had often exasperated him, he had previously shown almost no interest in the reform of Henry’s government. 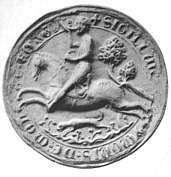 His new commitment to reform in 1258 may have initially owed more to personal grievances than to political convictions: he bitterly resented his recall from Gascony in 1252 and his subsequent trial, he had quarrelled with Henry’s half-brothers, the Lusignans, who dominated the court, and he and his wife were owed much money by Henry. Once adopted, however, his commitment became absolute, and henceforth his oath to the Provisions, the reforming codes at 1258–9, governed all his actions. He thus aligned himself with the knights and freeholders of the shires who were the main beneficiaries of the Provisions: a somewhat adventitious alliance, since Montfort was abroad when most of the new legal and administrative reforms were being drafted and did not serve, as did some other barons, on the judicial commissions which took the reforms to the localities. He failed because in the end his cause became identified with disorder, his own ambitions, and something close to republicanism. The civil war which began in 1264 resulted in the king’s capture at Lewes and Montfort’s supremacy, which he used partly to promote his family interests. As baronial support dwindled, he looked for it elsewhere. His most famous action, the summoning of the knights to parliament in June 1264 and January 1265, was the product not of any constitutional design, but of a prolonged political emergency. By then the baronial coalition of 1258 had become a Montfortian rump which, despite extensive but largely passive support in the shires, was virtually annihilated at Evesham on 4 August 1265. Its leader, ‘martyred for the justice of the land and for truth’, as a contemporary put it, became a popular saint, transcending in death the part of the flawed hero which he had played in his final years.